Brechfa Bethia is the kindest mare we’ve bred. Despite being injured as a yearling, her good bone, straight movement and good conformation enabled her to be graded a SHBGB mare. 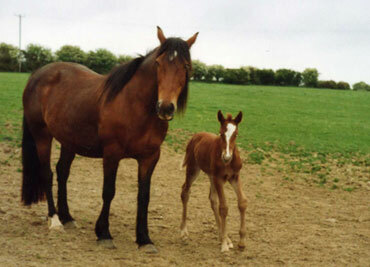 Her 2009 foal is quality, successful small hunter (see competing). Her 2009 foal, Brechfa Cynog, had a very successful first year showing in 2014 and 2015 will be an exciting year (see competing).